My friend told me she had a favorite song and wanted to edit the song on Mac, but the question is that she had no idea how to edit music on Mac. Today I am so glad to introduce this guide to teach you how to edit music on Mac. 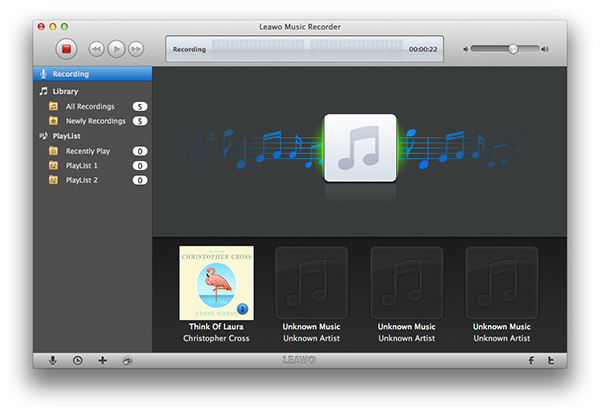 Leawo Music Recorder for Mac is the top music editor for Mac to record and edit music. It supports to record and edit music in over 300 formats and save in the output format of WAV, MP3 and M4A. The music editor Mac is able to record audio from any audio source including local music, online audio and microphone. Before you record music, you can choose the output format and adjust the parameters of bit rate and sample rate. After you finish recording, the music editor for Mac can automatically download music tags like title, artist, genre, year, etc. If some music tags are mislabeled, you can manually add and edit music tags. Leawo Music Recorder is paid software that costs $19.99 for one year’s usage, while $29.99 will enable you to enjoy the service of Leawo Music Recorder for your lifetime. Now you can follow these steps to learn how to edit music with this music editor for Mac. Download and install this Mac audio editing software on your Mac computer and then launch it. The below steps would show you how to record and edit music on Mac. It works on Mac OS 10.6 and later. 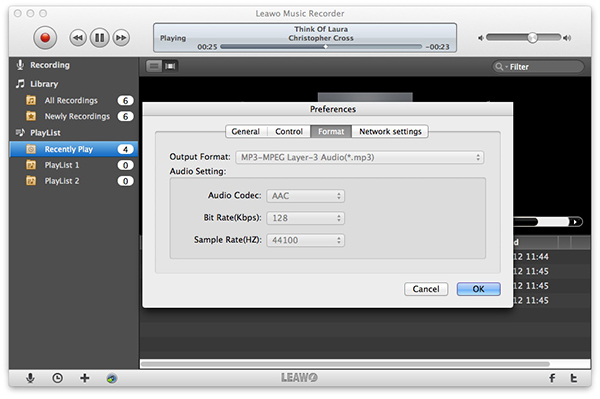 Go to Leawo Music Recorder > Preferences > Format to select the output formats. There are three output formats available: MP3, WAV and M4A. If you want sound audio quality, you can choose WAV. Next, change the parameters of bit rate and sample rate to adjust the sound quality. Go to General Preferences > General to select the output directory. You can click the blue folder icon to browse. On the same panel, you can change the language of this Mac music editor. On the same panel, click "Audio Source" to choose either "Record Computer Audio" or "Record Audio Input" based on your actual situation. Back to the main interface and click the recording button to start recording and then play audio you need to record. Click it again to finish recording. Leawo Music Recorder is capable of automatically downloading music tags, but you can also manually edit music tags like title, artist and year by right-clicking the recording to choose "Edit Music Tags" on the media panel. For Windows computer, please turn to Leawo Music Recorder to record and edit muisc on Windows computer with ease. 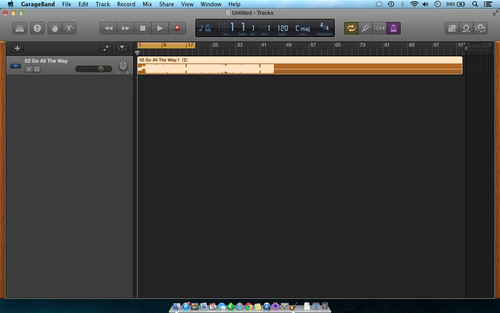 GarageBand is a perfect music editor for Mac with a plethora of sound effects like guitar, drum, bass, etc. It enjoys a wide range of recording and editing features that facilitate you to use it. For example, it has 9 acoustic and electronic drummers to provide you with various prerecorded and customized acoustic and electronic audios. Besides, the Mac music editor has 100 EDM- and Hip Hop- inspired synth sounds which feature Transform Pad Smart Control that allows you to transform and tweak sounds as you like. With Mac music editor, you can trim, loop, play and share music. No matter you are a novice or an experienced musician, you will love this fantastic music editor Mac. This Mac music editor can be free downloaded, but you have to spend $4.99 for each instrument and sound effect. 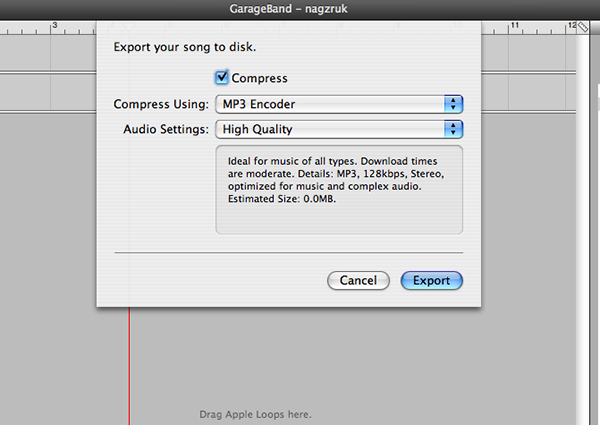 You ask me how to edit music on Mac with Garagaband? Why not take a look of the following steps? 1. Open the software and choose one template to start with. 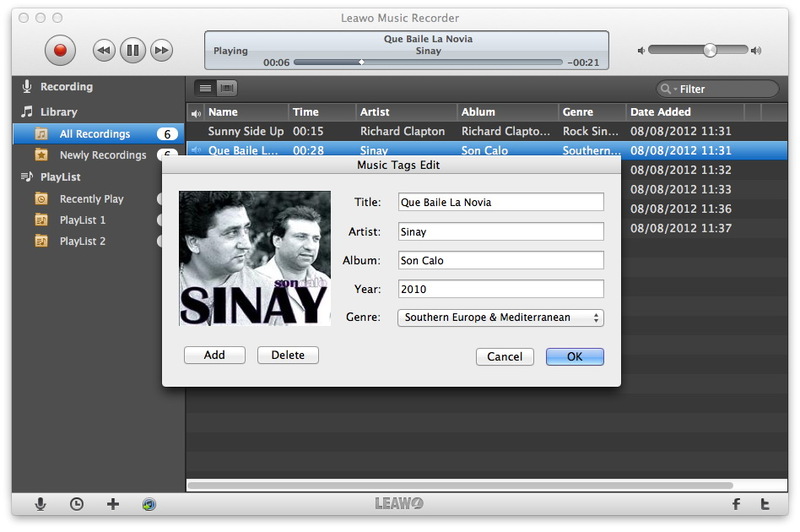 You can choose audio from your iTunes library, Loop library or from your desktop. Simply click the song to hold and drag to the empty track area. 2. 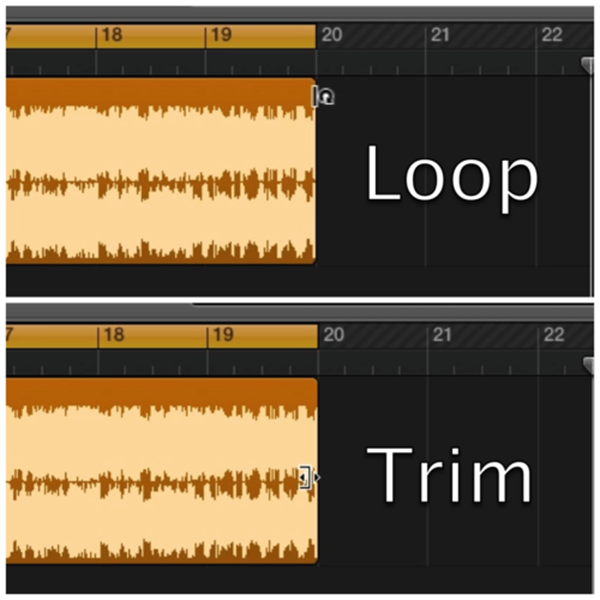 Now you can edit the audio in three ways: trim, split and loop. Move the left edge to the place where you want to cut and click "Command + T" to split audio. The cursor at the edge of each audio file will change into different symbols at the different places of the edge. If the cursor is at the top margin of the track, the cursor symbols the loop function. You can click, hold and drag the edge of the track to the right to create a replica of the audio. When you point the cursor to the middle of the track, the cursor looks like a line with arrows. You can click, hold and drag the audio edge to trim or extend the audio. 3. To save the audio, go to Share and choose one of the following options: "Song to iTunes", "Ringtone to iTunes", "Media Browser", "SoundCloud" and "Export Song to Disk". You can choose "Export Song to Disk" and set the audio in the output format of MP3, AAC and AIFF. Besides, you can select "Audio Settings" to adjust the sound quality. 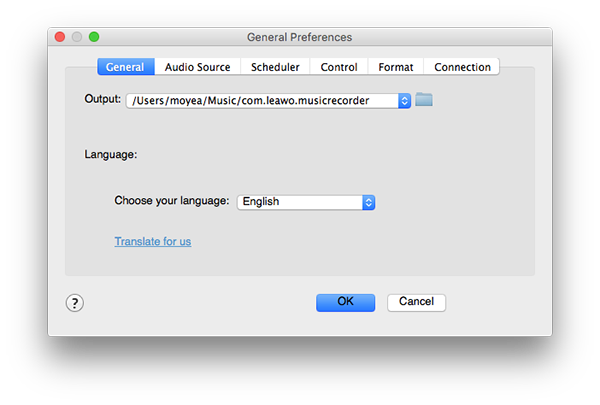 Leawo Music Recorder supports the most popular music formats like MP3 and WAV, while GarageBand support MP3, AAC and AIFF. Leawo Music Recorder is paid software and it costs $19.99 for one year. If you pay $29.99, you can enjoy the software for your lifetime. GarageBand can be free downloaded, but you have to pay extra $4.99 for each instrument and sound effects in this software. The interface of Leawo Music Recorder is much easier than GarageBand that you can easily find the feature you want to use. 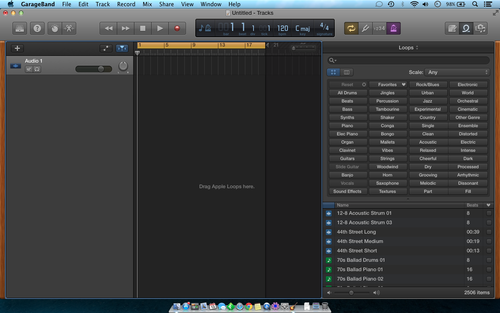 GarageBand is equipped with many useful tools, which results in the complicated operation of it. Leawo Music Recorder is typical for automatically downloading and adding music tags, recording any audio from any sources including computer audio, online audio and microphone and enhancing sound quality by increasing bit rate and sample rate. GarageBand is more like professional music creation software with a wide range of instruments and sound effects. It allows users to start with templates like EDM, Hip Hop. It has 9 different acoustic and electronic drummers to customize your audio. It has built-in Transform Pad Smart Control to morph and tweak music to your wish. All in all, they enjoy their own features. 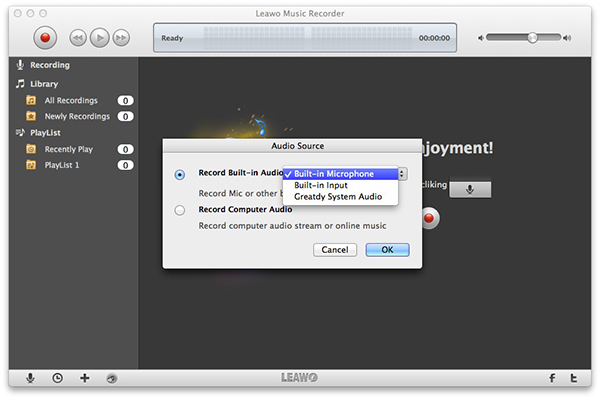 If you want simpler and easier music editing experience, you can choose Leawo Music Recorder. If you want more professional music creation, you can choose GarageBand.